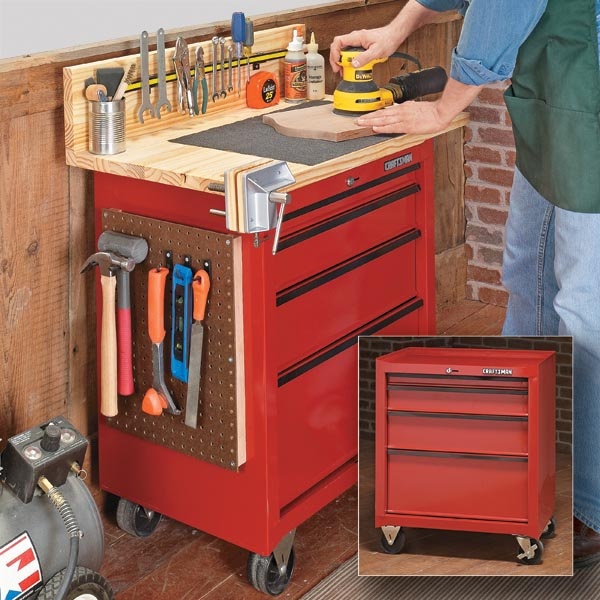 Rolling tools cabinets are usually thought of as mechanics’ toolboxes. They’re home to socket sets and wrenches, and they seem to belong in a garage rather than a woodworking shop. 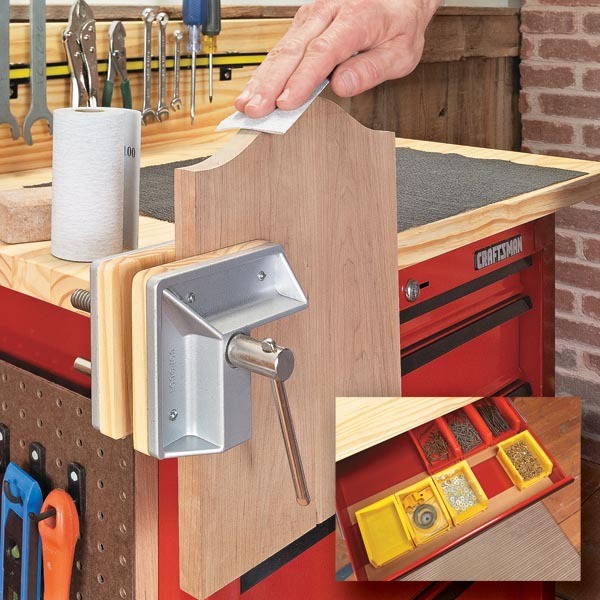 With a few simple upgrades, though, a rolling tool cabinet can be a much more useful fi xture in your shop. In fact, thanks to these changes, this cabinet has become kind of a “secondary workbench” in the shop when work spills over from my main workbench. Here’s a quick look at all of the upgrades. I added a couple of handy storage solutions to the sides of the cabinet, as well. On one side, just slap on a magnetic tool bar. (You’ll also notice a longer magnetic tool bar on the backstop, too.) A power strip added to the underside of the top is great for plugging in power tools. The other side of the cabinet is a perfect place to install pegboard for more tool storage. 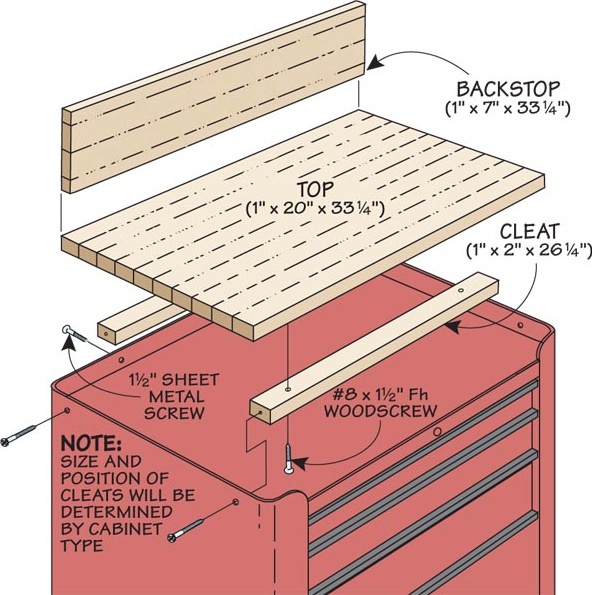 Just attach a couple wood cleats to the side of the cabinet with construction adhesive and sheet metal screws. 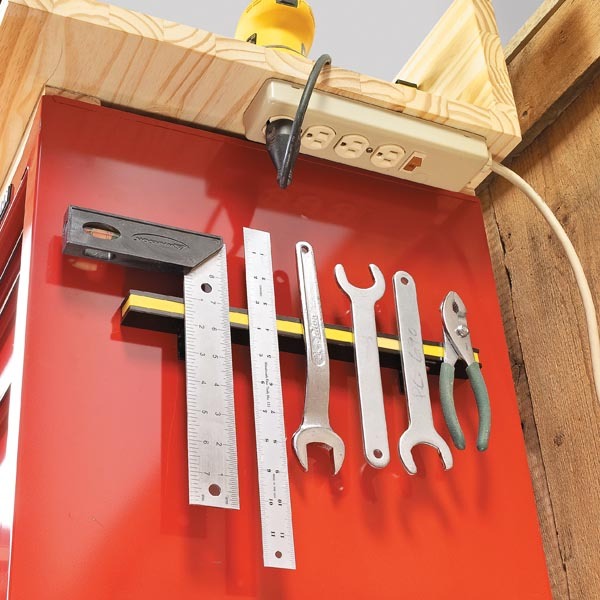 That creates a space behind the pegboard for inserting hooks.